Youngsters across the north will be visited by the former presenter of a popular wildlife show. 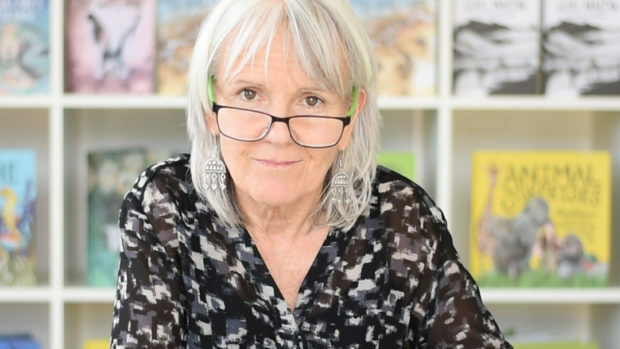 Zoologist and TV-presenter-turned-author Nicola Davies will visit school pupils as part of the 20th anniversary of the Scottish Friendly Children’s Book Tour. She will share snippets of her new book, The Promise, during her tour of Argyll and Bute, the Highlands and Western Isles. As part of the trip, Ms Davies will take her audience on an inspired journey exploring the varied nature of animals with the view to inspiring pupils to take great interest in the nature and their local environment. Her new picture book The Promise tells the tale of an opportunist young thief who finds something unexpected after snatching an old lady’s bag, changing her life and setting her on a new path. Ms Davies is expected to visit nearly 600 primary pupils from May 7 to 11, beginning at Gigha Primary School on the Isle of Gigha.